In 1997, another nine holes were added to the course. Now offering 18 holes, the popular course is known for its rolling landscape, generous bunkers, many stealthy hazards and huge greens. 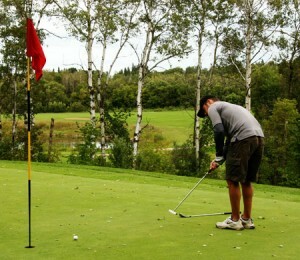 The club is host to a variety of golf tournaments throughout the season. After the game, golfers can relax at the Clubhouse with its licensed restaurant. To find out more about the Gilbert Plains golf course, visit GolfGilbertPlains.ca or call the clubhouse at 204-548-3030 to book your tee time or make reservations at the restaurant.